Welcome home! This large property is on the canyon side of Rover Blvd. It backs to hiking trails and the Rio Grande overlook. Home is set back on the half acre lot providing privacy and a large front yard. With a large parking pad and four garage spaces, youâ€™ll have room for all your cars, off-road toys or hobbies. The home offers three levels. The first level provides two bedrooms, a full bath and storage. The main level features two living spaces, formal dining, an eat-in kitchen with stainless appliances, laundry and a bonus room. Upstairs offers a master suite (currently set up as a library/office), bath and either a forth bedroom or office with an outside balcony. 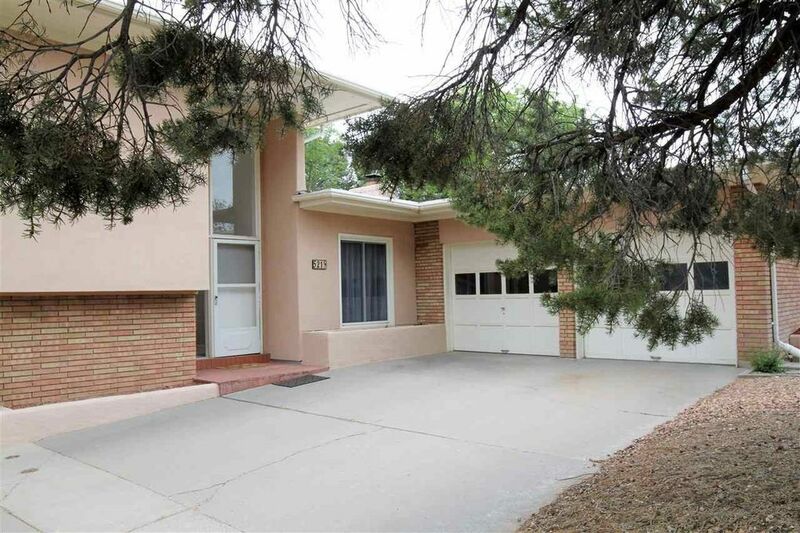 This property is a must-see and will be available for showings this Sunday (Motherâ€™s Day). Schedule your showing today! Directions: NM 4 to White Rock > south on Rover > home is on the right past Rover Park (near Jeffrey).